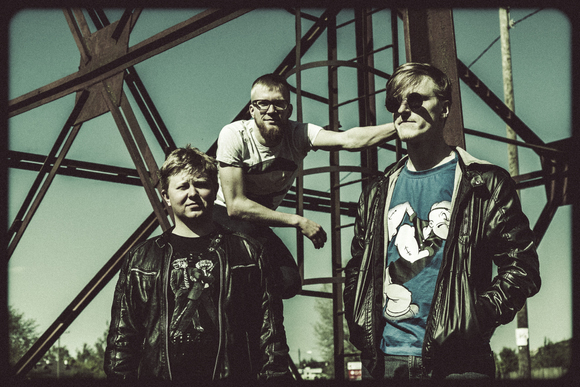 Laika Virgin is an Estonian alternative rock band with a colourful history. The band was born in 2010 from a collaboration between two friends, and quickly rose to top of the local music scene. In 2012, they won the Alternative Album of the Year title in the Estonian Music Awards. After actively performing in Estonia, and a few concerts abroad, the band took a break to focus on a new album. Laika Virgin's latest album “-+-=+” was released on September 25 of 2015. It features a new lineup, all-English lyrics, and a fresh style. The new album mixes hip-hop, alternative rock and electronic music. You can hear fuzzy guitars, heavy drum-bass, singing rap and buzzing synths. Band’s previous appearances include all major venues in Estonia, Tallinn Music Week festival on multiple occasions, Vilnius Music Week, United Islands Festival in Prague and others.